Back in last July, we learned that whatever hairdo Daisy Ridley was sporting as Rey was somehow so important that Lucasfilm felt it needed to be hidden, even when Ridley was just working out. Now, thanks to a picture of empty toy packaging, this great mystery of our time has been solved. It’s... longer! Thank goodness Lucasfilm saved this key bit of info to be revealed to us in a press release in February 2017! We couldn’t have handled it last year; we can barely handle it now! Still, such is the power of Star Wars—its relentless grip on popular culture—that it might be the only franchise on the planet that can put out a picture of an empty box and somehow make it newsworthy. That will be the day the first wave of toys tied to the movie—and thus a huge swathe of manic speculation about the film derived from said toys—will hit store shelves. And as with the last Force Friday in 2015, there’ll be midnight launches across the world, and soon-to-be-unveiled tie-in events that will once again transform the act of buying toys into a global moment of Star Wars induced hysteria. There’s not really anything different to Poe’s appearance—after all, it’s the same Resistance pilot gear he had in the first movie—but both Rey and Finn have tweaked new looks. Finn is still wearing Poe’s jacket (after all, it does suit him), but now he looks like he has a very Han Solo-esque white shirt underneath it. Rey has the most noticeable change, though, since she’s no longer got her hair in the trio of buns of The Force Awakens, but now wears it a bit more loose and down over her shoulders. Her outfit looks the same—or very close to the same—as what she had on when she found Luke. So apparently this is the hairstyle Daisy Ridley was trying to hide in July last year—the Instagram post heard round the word, if you will, as we all desperately tried to ascertain what could possibly be spoiler-y about a hairstyle. It was a moment almost as ludicrous as reporting about an empty Star Wars toy box! But at least know we finally know the incredible secret that Rey has taken her hair-ties out. This was all definitely worth it. 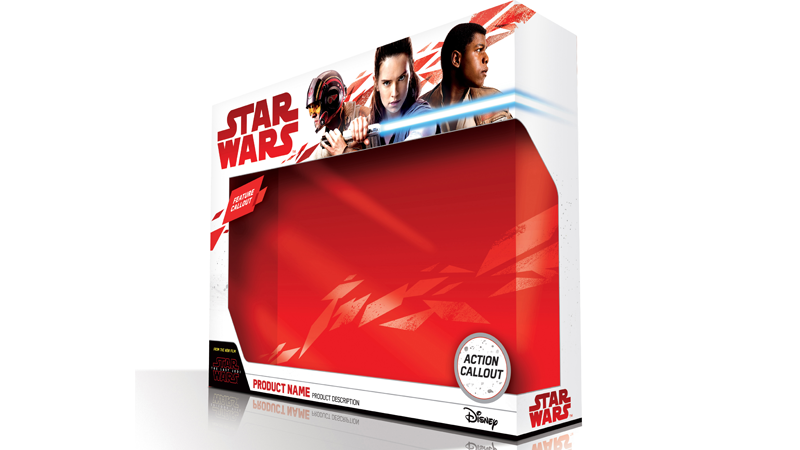 Star Wars: The Last Jedi: Buy All the Toys Edition begins September 1, ahead of Star Wars: The Last Jedi: The Actual Movie’s release December 15. What the Hell Is Going On With Rey&apos;s Hair in Episode VIII That Daisy Ridley Has to Keep It Secret?